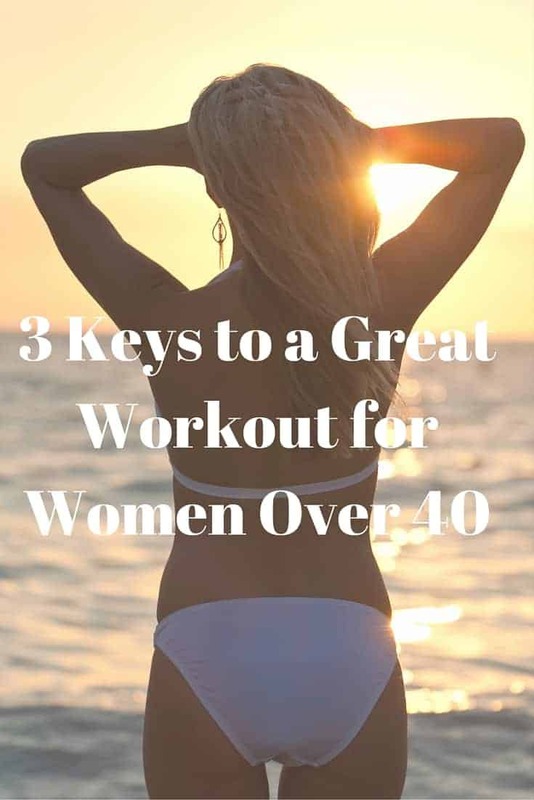 As women over 40, there are a few things to remember as we choose our workout plan. We notice muscles or lack of muscles and therefore, we are more mindful of targeting all the right areas to achieve an overall toned appearance. There’s nothing worse than having toned legs but a flabby belly, right? When I was in my first year of losing weight and getting toned, I would take a step back every few months to evaluate where I was in terms of fitness and create a plan. Heck, I am still doing that. It is an ongoing process. The interesting thing about losing weight for women over 40 is the fact it really isn’t rocket science. I have found there are 3 key components to being successful at losing weight and getting toned. Nutrition. No matter what the cutsie quotes say, all of the exercise in the world will not allow you to eat what you want and be fit. It doesn’t happen. To be fit, we must eat properly. Our macros (protein, carbs and fats) must match our fitness goals. Sure, there will be slip-ups, but slip-ups don’t happen daily. As women over 40, it is more important now than ever to make sure we are getting proper nutrition. Strength training. Don’t be afraid of lifting light weights. As I have shared before, in the beginning of my fitness transformation, I was afraid of weights. I didn’t want to bulk up like a weight-lifter. That just wasn’t my goal and so I didn’t see a need to lift any weights. Wrong, wrong, wrong. Muscles create toned bodies and raise our metabolism. We will not be toned like we were in our 20s until we strengthen those flabby nonexistent muscles. I remember trying to hold my core tight in the beginning…what a joke. I didn’t even have enough muscle mass to feel my core. It took several weeks before I could hold my core tight, and I haven’t stopped since. Cardio. A good cardio routine really rounds out an overall exercise program. It helps burn calories while also working our muscles. A HIITS cardio session is awesome. Cardio releases endorphins and strengthens your heart and lungs. Doing a great cardio workout leaves you feeling accomplished and young. As you get more fit, cardio will get easier and so you will be able to add more time or speed. Don’t skip out on the cardio just because it’s difficult. It is a piece of the pie you need. I am so excited to start 2016 with you! There will be a 30 day fitness plan ready for you to start January 1 to help you incorporate all 3 of these components into your life easily. Through regular workouts and good nutrition, you will feel younger and healthier than you have in many years! So, get ready! Stay tuned for more details to follow by subscribing to Fit Found Me today!